An investigation conducted by the US Navy has revealed that there’s "a high degree of probability" that the mines, which were designed to detonate based on the changes in the magnetic field, were detonated by solar storm activity. 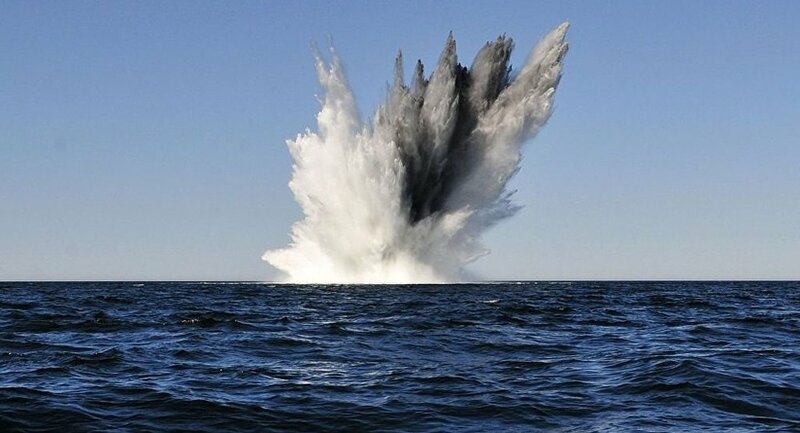 A recently-declassified US Navy report reveals that a powerful solar storm apparently caused a mass unintended detonation of US naval mines off the Vietnamese coast nearly five decades ago. According to an article published in Space Weather, in August 1972, the crew of a US military aircraft flying near Hon La witnessed some 20 to 25 naval mine explosions occurring within the span of about 30 seconds. This development led the US Navy brass to speculate that the detonations might’ve been caused by "magnetic perturbations of solar storms", as many of the mines deployed in that area were designed to detonate when they detected changes in the magnetic field, and solar storms can cause significant magnetic field fluctuations. A subsequent investigation ended up concluding that there is "a high degree of probability" that the mines had been detonated by the August solar storm activity, ScienceAlert reports citing a declassified US Navy report on the mining of North Vietnam. "Now that light has been shone on the impact of these events on sea mine operations in 1972, the scientific community has another clear example of space weather impacts on technologies," the news outlet notes.